When hauling your boat, horse or travel trailer, you want to do it as easily and as safely as possible. Fastway Trailer made the e2 hitch to reduce or eliminate the dreaded side-to-side trailer motion that’s commonly referred to as sway. The system, which slides into the receiver of the tow vehicle, uses arms that glide on special L-brackets, which are bolted to the trailer tongue. The e2 is also claimed to improve weight distribution with the tow vehicle, which aids stability. 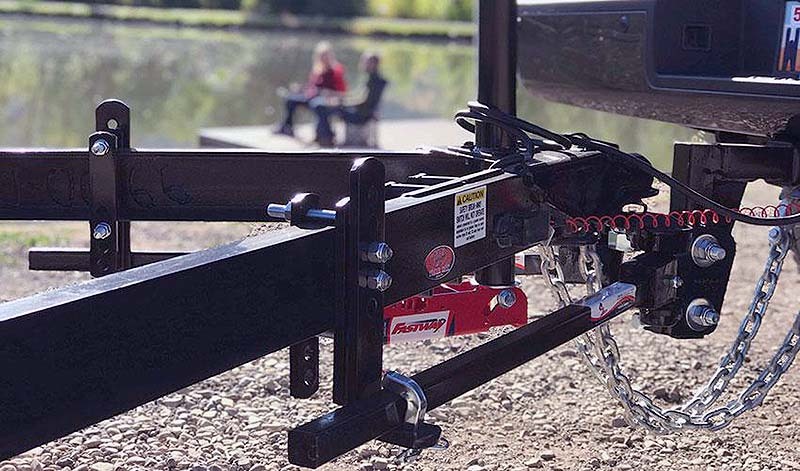 The hitch is available in load ratings ranging from 4,500 to 12,000 pounds. Product, accessory and ordering details, as well as an informative five-minute video, are at www.fastwaytrailer.com.